When Jeep introduced the all-new trim: the Limited X, it also introduced added tech and advanced safety feature updates to the vehicle. All Grand Cherokee models come standard with rear cross path detection, and the audio system received an upgrade with the inclusion of Apple CarPlay and Android Audio capabilities and blind spot monitoring. Something new on the 2019 Grand Cherokee is the Uconnect infotainment touchscreen displays which are made of bonded glass. It allows for higher resolution and pinch-and-zoom capability. As for the Grand Cherokee Limited X, it has a distinctive front and rear fascia along with Granite Crystal exterior accents, a performance hood, and 20-inch low-glass Granite Crystal aluminum wheels. 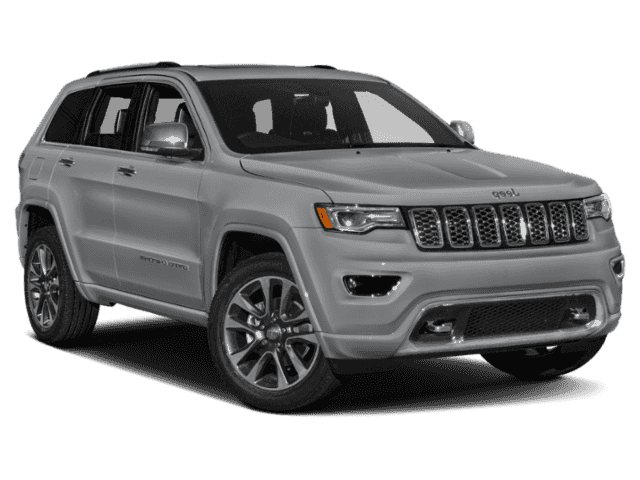 The 2019 Grand Cherokee has a total of 12 trims and offers two drivetrains. Trims available in either the 4×2 or 4×4 configuration are the Laredo, Laredo E, Upland, Altitude, Limited, Limited X, Overland, High Altitude, and Summit. The Trailhawk, SRT, and Trackhawk all come standard with the 4×4 drivetrain. 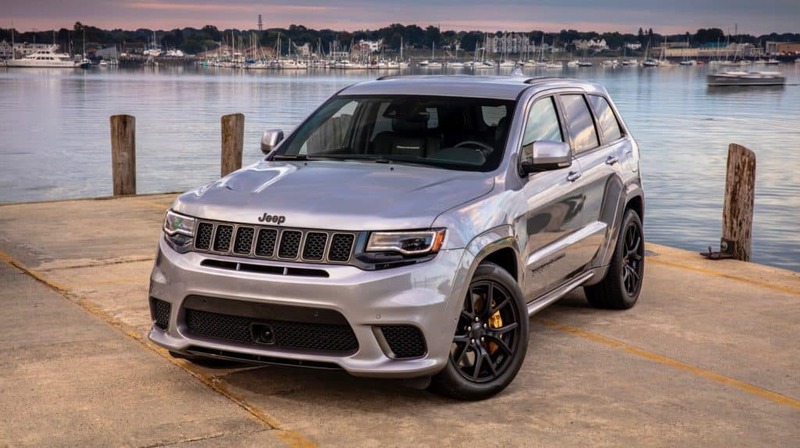 Jeep offers the 3.6L Pentastar V6 engine as the standard power plant on all vehicles except the Trackhawk and SRT trims, which feature performance-oriented engines instead. Electric start-stop (ESS) and Variable Valve Timing (VVT) technology work to optimize performance and save fuel economy. Under the hood will be the classic 3.6-liter Pentastar V6 engine which generates 295 horsepower and 260 lb-ft of torque. For those seeking additional power, there is the 5.7-liter HEMI V8 engine, and there’s an optional upgrade on all 4×4 drivetrains (except for the SRT and Trackhawk trims). The Grand Cherokee SRT is powered by a 6.4-liter HEMI V8 capable of generating a 475 horsepower and 470 lb-ft of torque. The Trackhawk has a 6.2-liter Supercharged V8, 707 hp engine with the ability to accelerate from 0-60 mph in 3.5 seconds. Jeep offers numerous off-road 4×4 systems on the Grand Cherokee. There’s one that’s designed for all-weather capability and includes the Selec-Terrain System which is the Quadra-Trac I 4WD system. It’s common on the Laredo, Laredo E, and Altitude trims. The trims Trailhawk, Limited, Limited X, Overland, Summit and High Altitude, are all designed with a two-speed transfer case to notice and correct tire slippage. The Selec-Terrain Traction Control System that lets drivers choose driving modes in snow, sand, mud or rock. The Quadra-Trac II System is even better off-road because of its low range capability. The Quadra-Trac II only comes in the Trailhawk, and it’s also available with an electronic rear limited-slip differential for off-road traction and capability, making it “Trail Rated Tough.” The Quadra-Trac Active on Demand 4WD is the standard 4×4 system on the SRT and Trackhawk. It operates as a full-time 4×4 system that readily adapts no matter the driving conditions without requiring any input from the driver. Standard on the vehicle is automatic on/off headlights, deep tint sunscreen glass that keeps the vehicle cool, a tinted and acoustic windshield to lessen glare and noise while driving, premium fog lamps, black claddings, heated outside mirrors, and ParkSense rear park assist. LED fog lamps come fixed on the Summit and Altitude. High-tier trims offer features such as bi-xenon, a rain-sensitive windshield wiper, HID headlamps, rock rails, platinum side roof rails, a roof rack, tow hooks, and a power liftgate. There’s also an optional dual-pane panoramic sunroof as well. Select trims offer separate touches, such as a blacked-out decal or the “Trail Rated” badge on the Trailhawk. The 2019 Jeep Grand Cherokee provides ten different exterior colors. The wheels range from 17-20 inches while materials vary from polished aluminum, black satin, forged polish, and many others. A 60/40 split-fold rear seat, a leather-wrapped steering wheel, a leather-wrapped shift knob, dual-zone automatic climate control, luxury floor mats, steering wheel-mounted audio controls come standard in the vehicle. The Laredo and Laredo E trims feature fabric upholstery, but they also offer supple leather upholstery on the remaining Grand Cherokee lineup. Other options include auto-dimming rearview mirror, heated and ventilated front seats – depending on the trim its available as an upgrade or it comes standard. The features that can be found on the Altitude going forward are active noise control and heated steering wheel. There is more that can be added to the package. Add red seat belts, and a wood/leather-wrapped steering wheel on select trims are also available. The 2019 Jeep Grand Cherokee features a 7-inch touchscreen exhibit the latest Uconnect 4 infotainment system. Included are Apple CarPlay and Google Android Auto, as well as integrated hands-free voice-command with Bluetooth. Standard is a six-speaker audio system is on the Altitude Laredo, Laredo E, and Upland trim, while the high-tier Grand Cherokee trims have a nine-speaker amplified system that includes a subwoofer. A 19-speaker Harman Kardon audio is standard on the Summit, and it is offered as an upgrade on the SRT, Trackhawk, Overland and High Altitude trims. Selected trims can also be upgraded to an 8.4-inch touchscreen display complete with Uconnect 4C that includes navigation. Navigation features live-traffic information and a one-year SiriusXM Satellite Radio subscription and other add-ons include a rear-seat dual screen Blue-ray/DVD player, and a rear-seat video system. The Grand Cherokee has more than 70 advanced safety features. There is multistage airbags, driver inflatable knee-bolster bag, rear airbags, supplemental seat-mounted airbags, supplemental side-curtain airbags and, additional side-curtain front come standard. Other safety features available as upgrades include adaptive cruise control with stop, blind spot, and cross path detection, parallel and perpendicular park assist. All Jeep vehicles are covered with a 3-year or 36,000-mile basic warranty, a 5-year or 100,000-mile powertrain warranty and roadside assistance for five years or 100,000 miles whichever comes first.